It was lunch time with @JoshRimer, @ProWorksCraig, @BillyForce and @JMinter. 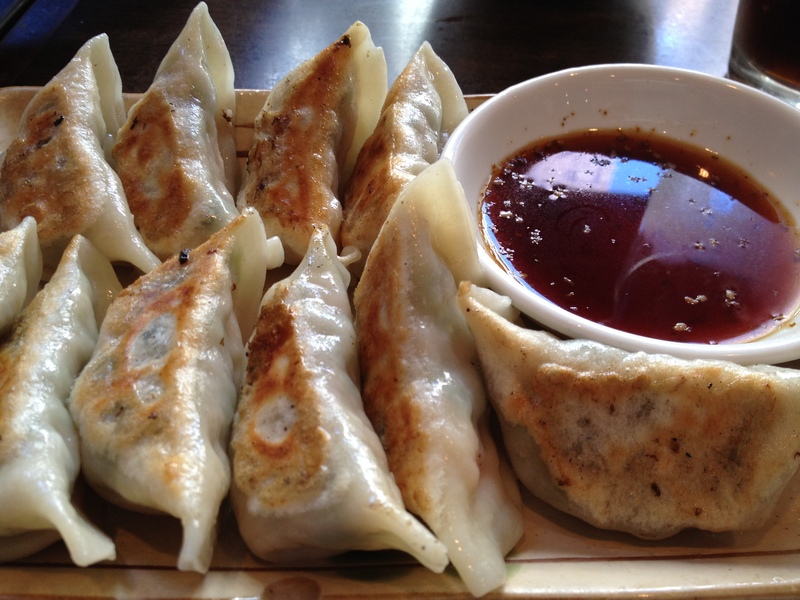 Billy suggested we check out Gyoza King on Robson St.
Gyoza King has been a part of the West End for over 17 years. It’s very rare that this Japanese Izakaya doesn’t have a huge line up of hungry people waiting to get in. We were lucky and got seated right away. Here’s a good tip: if you can go for lunch, do it. The line ups are crazy at dinner time and late night seatings. The restaurant is quite small, just one large booth and a few tables. The atmosphere is intimate and the decor is traditional Japanese. With a name like Gyoza King, you’ve got to assume that the gyoza has got to be amazing. They have five kinds of gyoza dishes, everything from spinach for vegetarians, and pork, shrimp and chicken. I ordered the Ebinira Gyoza (pork, chives and shrimp dumplings). The dumplings were juicy and not greasy at all, which is so nice when eating gyoza. Also they were of a good size, and Jay commented on how well they were put together. I also loved the dipping sauce, nice and tangy. For 6 pieces it was $6.95, not too bad for the quality and size of our dumplings. Their menu has a lot of variety, ramens, donburis, as well as other tapas. 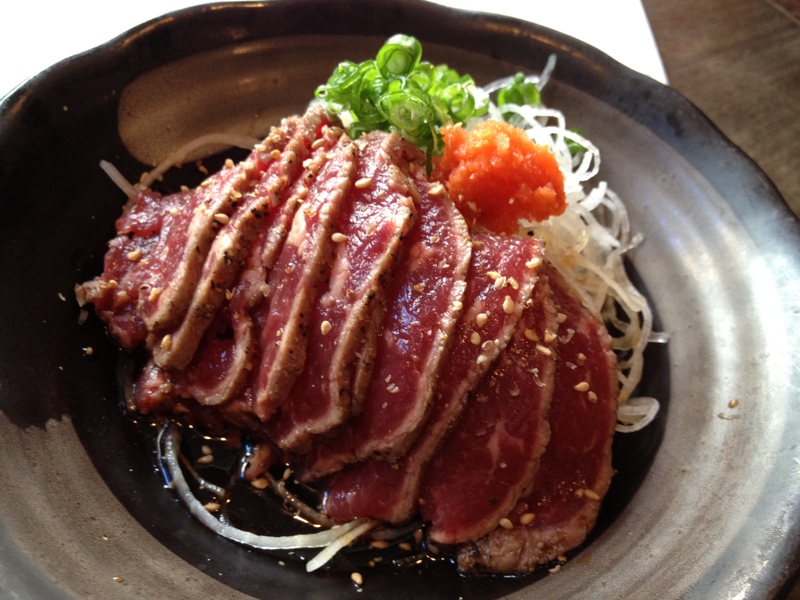 I also ordered the Gyu Tataki – ($6.95) my beef was perfectly seared, and I love the pozu sauce it came with. Garnished with Japanese radish and sesame seeds, this was a great dish to try. Jay and Craig both ordered the chicken teriyaki don, and Billy also ordered the deep fried squid. The dishes looked great, awesome presentation. Vancity Bake Shop supports AIDS Walk Vancouver with Tasty Cupcakes!